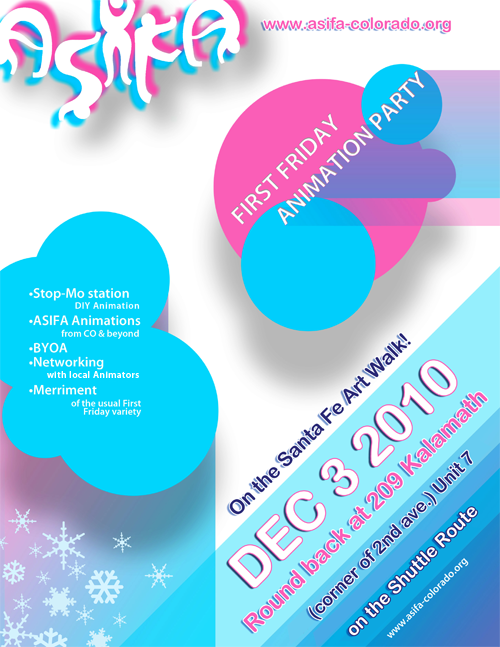 Join ASIFA-Colorado for a celebration of animation on the Santa Fe ArtWalk! We will be holding our inaugural Santa Fe ArtWalk event during December’s First Friday. Step out of the cold and into animation merriment!